Apple amazed the world at its Special Event with the fundamentally redesigned and reengineered Apple Watch Series 4. This will help you stay even more active, healthy and connected than ever before. The Apple Watch Series 4 has the largest Apple Watch display yet, over 30% larger than the previous generation of Apple Watch. Its new electrical heart sensor features a reengineered Digital Crown with haptic feedback and low and high heart rate notifications. It’s the first Apple Watch to be recognised for it’s true medical benefits. What’s more, the new smartwatch is capable of fall detection. It can even send an Emergency SOS, so if you ever find yourself in a difficult situation, you won’t be alone. As well as the physical health support, Apple Watch Series 4 has beautiful new Breathe watch faces, perfect for those that look for calming and mindfulness. For fitness fanatics, there is automatic workout detection to monitor your activity on the go, and a whole range of exciting new yoga and hiking workouts. For runners, there are advanced features like cadence and pace alerts, making the Apple Watch Series 4 even more valuable as a partner out on the roads. There are also new head-to-head competitions, options for activity sharing with friends, personalised coaching and monthly challenges and achievement awards. Apple Watch Series 4 has something for everyone! To help you stay connected on the go, you can make phone calls, send messages, and get notifications. You’ll also be able to listen to Apple Music and Apple Podcasts. Apple Watch Series 4 lets you do it all right from your wrist. Can’t wait to get Apple Watch Series 4 on your wrist? We don’t blame you! To preorder and benefit from complete setup support and a three-year guarantee head into store or call today. 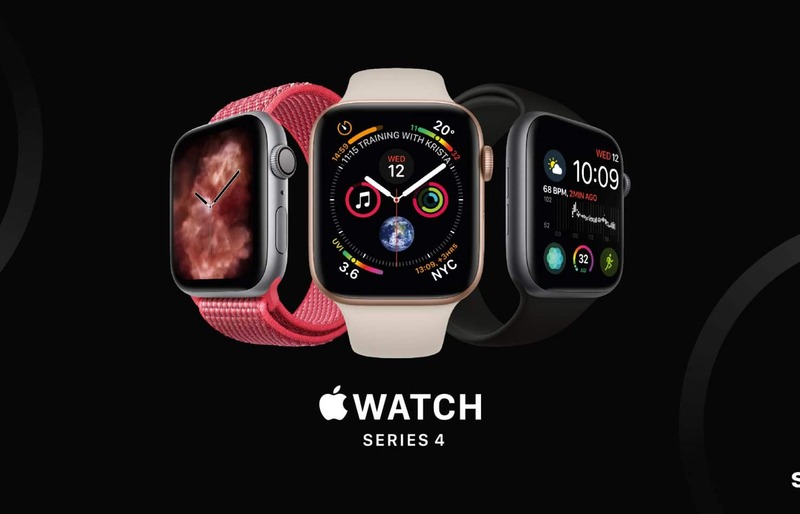 Buy your Apple Watch Series 4 from Sync, and you’ll enjoy Sync3, our 3 year guarantee to ensure you always get the best from your tech. Fancy the iPhone Xs or iPhone Xs Max – check them out here. The iPhone Xr is not yet available for pre-order. ISO standard 22810:2010. Appropriate for shallow-water activities like swimming. Submersion below shallow depth and high-velocity water activities not recommended.